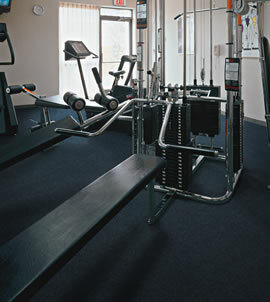 For weight rooms, training centers, fitness clubs, recreation facilities, and country clubs. 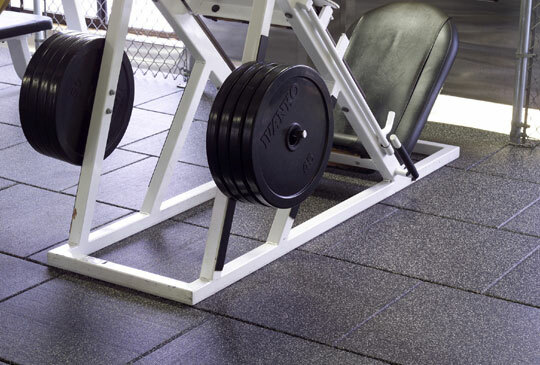 Daily pounding of free weight and cardio equipment, and lots of sweat produce one of the toughest floor maintenance conditions that exist. Our products solve this problem and provide a floor that is attractive as well as reducing noise and shock. These products are made from the highest quality recycled rubber and are available in rolls and tile in a variety of colors.